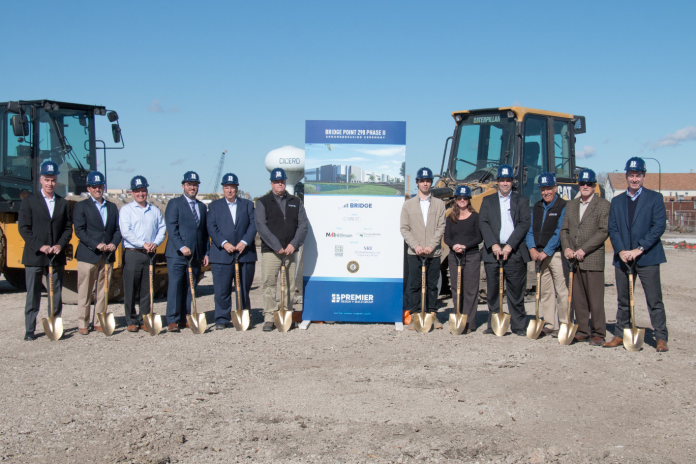 With the first building completed nearly a year ago, PREMIER Design + Build Group and Bridge Development Partners, LLC broke ground on the second and third buildings in Cicero’s Bridge Point 290 development in late October. The first facility is already fully leased, and the new additions are expected to provide 575,935 sq. ft. of space for future industrial tenants. Previously occupied by a steel casting foundry and finishing facility, the site at 1400 S. Laramie required significant demolition and remediation in order to be prepared for development. Underground obstructions and buried foundations were dug up and removed, along with a long-defunct railroad spur. Now, nearly 33 acres await construction of the two precast concrete-and-glass buildings that will take the place of the former foundry. Local representatives and project stakeholders joined in the groundbreaking celebration, including Cicero Town Assessor Emilio “Emo” Cundari. From PREMIER, vice-president Julie Pisczcek, assistant project manager Jason Spataro and project superintendent Rich Pozzi were also on hand to share their enthusiasm for getting the second phase of the project underway. 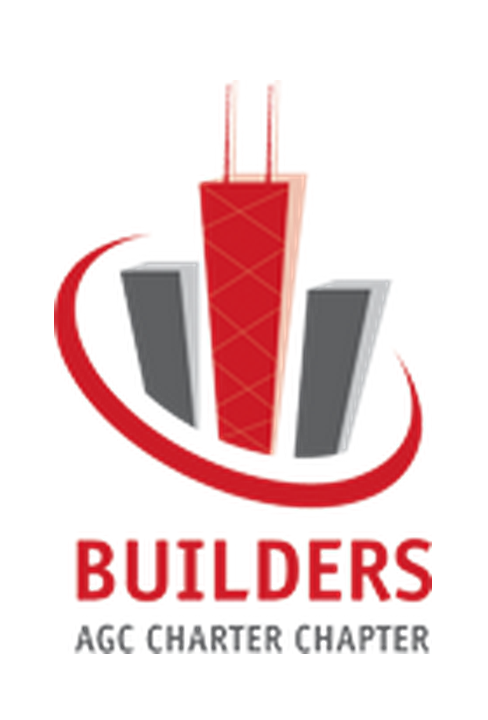 Cornerstone Architects, LTD will be providing architectural services for the project, and civil engineering support will be provided by Manhard Consulting Ltd. Cabot Properties is the owner of the property and the broker is NAI Hiffman. Phase 2 of the project is expected to be completed in the third quarter of 2019.